Laundry. We love it and hate it. Love that we have a family to do laundry for and hate that it really, really never ends. Ever. Three things are certain in life - death, taxes, and laundry! As a work-at-home mother, I strive to find a balance of doing the laundry efficiently so it doesn't become overwhelming on certain days of the week. This means I do laundry every day, with few exceptions. That's a lot of water and detergent for sure, even with just four people in the household. I try to minimize both factors by running full loads. We use Eco-friendly detergent in an efficient HE washer that we spent a load of money on (pun intended!). But now we've found a way to make laundry even more Eco-friendly and cost efficient. GreenTech Environmental generously sent us their pureWash laundry system and pre-filter for review. In short, pureWash adds oxygen to your cold water supply so that just plain water cleans your laundry more efficiently and lessens or eliminates your need for hot water or detergent. Awesome. My husband installed the pureWash easily, and he isn't really inclined to such endeavors (he is more of a computer geek than handy man). He first installed the pre-filter which is sold separately and costs about $50 (replacement cartridge is $20), a must with our hard water. Then the pureWash took about half an hour to install, or even less. The cumbersome part was just disconnecting the water line and trying not to spill the water that was in it. When you install, make sure you have some buckets ready for any water that decides to escape the hoses. Make sure you read the directions thoroughly, this isn't a piece of furniture - so correct installation is crucial! The pureWash comes in two models, one for HE washers and one for standard ones, make sure you have the right model if you decide to purchase. If you're planning on switching to an HE washer in the near future, you can actually buy the low-flow model which would work with a standard top-loader until you get an HE washer, it would just appear to work slower. So how is it working so far? We've been using it for about two months and it's pretty neat. I now only use detergent on cloth diapers or really heavily soiled loads (like husband's work clothes). Most loads I can run without any detergent and it will come out clean and smelling fresh! I still pre-treat stains as I usually would. I have also stopped using hot water with all loads except for cloth diapers - there is no longer a need for that! Unfortunately the pureWash didn't really help our stink issues with cloth diapers, but I can attribute that to the fact that we haven't stripped them before starting to use pureWash. I really need to strip our cloth diaper stash, I know that pureWash has been working wonderfully for other moms who cloth diaper - keeping stink at bay and reducing detergent use. It's definitely a nice-to-have cloth diapering accessory that is worth considering, even though it may cost the same amount as a whole cloth diaper stash. I will update this post here once I get around to stripping our cloth diapers and using pureWash for several months after that to let you know what it does for the diapers. Another great thing about pureWash? It keeps your washing machine much cleaner! I noticed that the oxygenated water not only makes all the clothing smell fresh (like it has been line dried outside), but it keeps the seal of our HE washer cleaner and mold free. 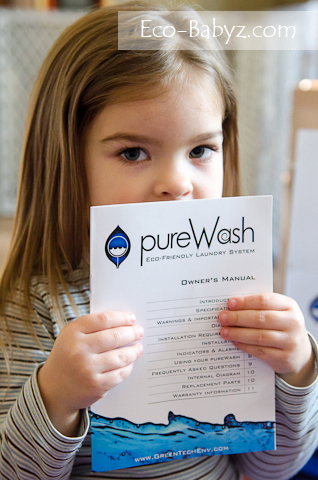 The pureWash retail price is $699, yes, that's expensive. Lucky for you, Amazon usually has it cheaper, like right now at $449.95 (as of 1/31/2013). Even better, I have a discount code for you to get it directly from GreenTech Environmental for just $397! Use code ECOBABYZ for your discount through the link below, good until February 28th, 2013. It's a great Mother's Day, housewarming, or baby shower present for a health conscious family! We just recently purchased this system. I was so excited about it, but after a few weeks of using it, the PUL on my pocket diapers and covers seems to be deteriorating. I haven't changed anything else in my laundry routine (other than eliminating detergent), so I'm pretty sure the PureWash is to blame. Did you experience anything like this? Oh, no, that's not good! Well, we've had it for 7 months now and we have no problems with PUL - and I've washed quite a few PUL diapers in it regularly. Are you positive it is installed correctly? Do you have an update on cloth diapering with the ozone machine? We still use it and haven't had any issues with it! It gets all our laundry a little cleaner than regular water. But I do use detergent additionally for diapers and heavy duty loads. We purchased ours about a month ago & installed correctly & correct flow for Purewash however the water flow needed to be decreased by half in order to see good bubbles & start working. 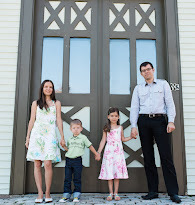 We see the good results with all our cloths except for the cloth diapers. 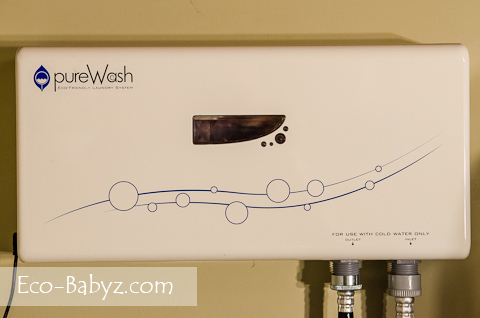 Do you still use hot water with your cloth diapers &\or detergent? We were hoping not to have to use any hot water, detergent or multiple washes as before. Please update with your detailed results! I do still use hot water with cloth diapers, in my experience it is impossible to get them clean enough with cold water. I still do all rinses in cold water, but the main wash is hot. Can you tell me how you are able to use hot water with purewash? All of the info I've found says you can't, but I wash all screen-print shirts in warm water because cold water cracks the screen-print. 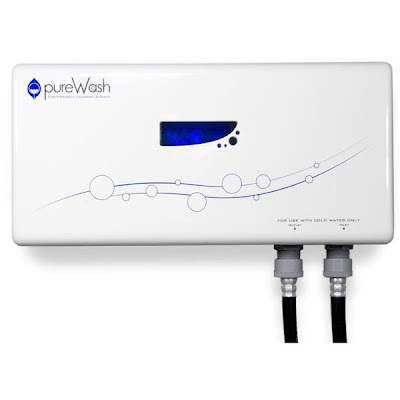 That's easy, the way the system works is you only connect the cold water to the PureWash, hot water is connected directly to washer. So you're getting the benefits of the PureWash only when you're using cold or warm (the cold goes through PureWash and mixes with hot water to get warm temp). THANK YOU!!!!! I've been trying to find an answer to that for weeks! How does this compare to the ecowasher? I really don't know since I've never used or known about ecowasher.